Investing in the future takes care of itself when you tend to your young people in the present. That’s the Track Academy way. We have developed a method of Micro Mentoring for our Student-Athletes where all staff – from our admin officers to our coaches – work to impact the attitude and behaviour of athletes by supporting and advising wherever the need presents itself. the end of each athletics session. This relies on all staff (especially coaches) keeping the mentoring department informed about any concerns, achievements or incidents and provides a safety net for Track Academy Student-Athletes since they can then be escalated to one-to-one mentoring or other relevant services if they appear to need further support. This is the glue that holds Track Academy together. We offer our athletes one-to-one weekly mentoring sessions to provide a bespoke system of support for their individual needs. Alternative methods of support come via a slightly more informal mentoring dinners where our athletes can open up and share with inspirational athletes, professionals who have been linked to Track Academy via our education, charity and corporate partnerships and with respected members of the community who have been trained in our in-house mentoring qualification, which is certified by ASDAN to gain more perspective on challenges they may face. These individuals are consistent in their attitude, expectations and belief that a positive thought process is the cornerstone to success and realising ones dreams in life. We hold employability workshops to support the Student Athletes’ journey to becoming contributing valuable members of their own community, with interview techniques, CV writing, career talks and goal setting guidance once a month. 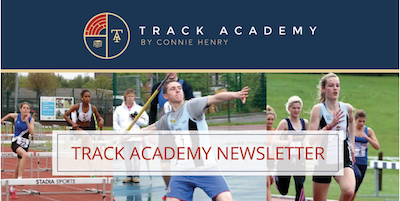 NB: Track Academy provide training, mentoring and educational support 50 weeks of the year and are closed for two weeks at the beginning of September for annual leave. As a registered charity, we rely on your generosity and donations – large and small – to serve countless young people in our community. Thank you in advance for your continued support. Reg. Charity No. 116422.